Made a laptop stand out of some crappy bathroom stand dealio. 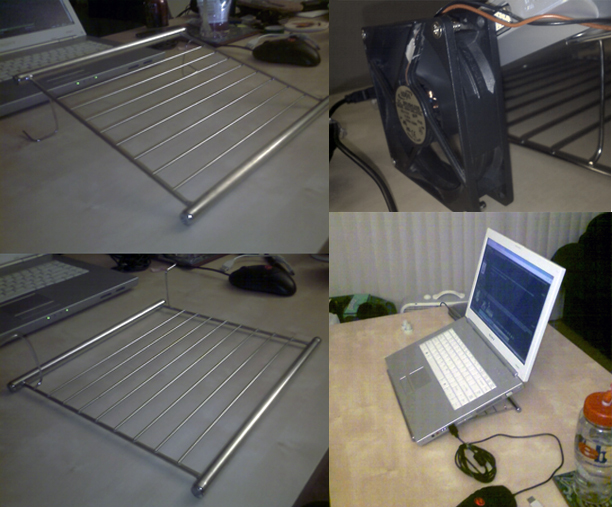 It lets me use my fan as an easy external cooling solution. Doubles as a drying rack, tell me what you think.